Is it Possible to take Spring Certification without training course? It wasn't possible until last month to take Spring certification without mandatory training course but from 10th May 2017 onwards, you can take Spring Certification without training course. Yes, you read it correctly, it's possible to become Spring certified developer without spending USD 3200 on mandatory Spring training e.g. Core Spring training or Spring Web Application Developer training. For years, Pivotal, company behind Spring framework ensured that a Java developer can only get Spring certification by first going to into a 4-day training run by Pivotal and its partner around the world. Even though training can be taken at classroom or online, the high cost of training was the main hindrance for Java developers who were interested in doing Spring certifications. Pivotal defend the cost of Spring certification by providing Spring framework free of cost but still, it was too much for many junior Java developer who was interested in Spring certification to find a Java web development job. Now that cost barrier is lifted it will make it easy for many freshers and less experienced Java developer to become Pivotal certified Spring developer. Now the cost of Spring certification is reduced from 3200 USD to just 200 USD which is the cost of Spring Certification Voucher. Which means the cost of Spring certification in India also reduced from 50,000 INR to just 10,000 INR. You can purchase the Spring certification voucher directly from the Pivotal website without enrolling to training courses run by SpringPeople in India. Though, if you have money, and interested in learning Spring better, I recommend to join those Spring training courses, they are still the best way to prepare for Spring certification exams e.g. Spring Professional Certification Exam, Spring Web Application Developer Certification exam and Spring Integration Specialist Certification exam. Just like Oracle provides several Java certifications e.g. OCA (Oracle Certified Associate), OCP (Oracle Certified Professional), and OCM (Oracle Certified Master) certifications, Spring also provides different types of Spring certifications. Like Java certifications, where OCAJP and OCPJP are the first steps for other certification, Spring core certification also known as Spring Professional Certification is the first step in Spring certification world. Following image clearly, explains Spring certification path. you can see that once you pass the core Spring exam, you can give either Spring Web Application Developer certification or Spring Integration Specialist exam. Pivotal is also adding new training courses and certifications e.g. Spring Boot and Spring cloud and I expect them to add and upgrade exams more in future. Thankfully cost of Spring Framework certification is same 200 USD for all exams. Also, the voucher is valid for 90 days, so you should purchase the voucher only when you are completely ready for exams. This is the first certification in the Spring certification path. It tests your knowledge about Spring framework, dependency injection, Spring MVC, Spring JDBC, Spring REST and other important topics. The core Spring training is the best way to prepare for this certification exam, but if you preparing on your own then you can read Spring in Action book and take David Mayer's Spring Mock Exam to prepare for Spring Professional Certification. The cost of Spring Professional Certification is 200 USD in both USA, India and rest of the world. This is the specialized Spring certification useful for Java web application developer who is using Spring for developing enterprise Java application. You need to first clear Core Spring certification before you attempt this certification. Currently, there are two versions of this certification is available at the Pivotal Academy, Spring Professional V4.2 Exam and Spring Professional V4.3 Exam, which are respectively based on Spring 4.2 and Spring Framework 4.3 version. Again the 4 day Spring Web training course from Pivotal is the best way to prepare for the exam. You can take this training online or in person at various Pivotal partners across the world, for example, SpringPeople provides this training in Banglore India. 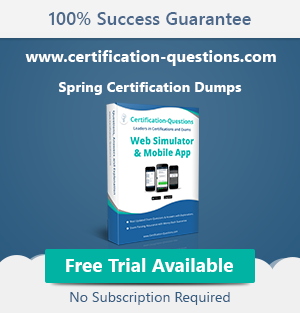 If you are preparing your own then you can use the Spring certification guide and David Mayer's Spring Web Simulator to prepare for this exam. This is the third Spring certification provided by Pivotal and if you are using Spring Integration to build loosely coupled and event-driven architectures e.g. microservices then you can take this certification. The certification tests your experienced and knowledge on inter-process communications using Web Services (REST) and Messaging technology e.g. JMS, and Active MQ. It also covers Spring Integration, Spring Batch, and Spring Cloud Data Flow. 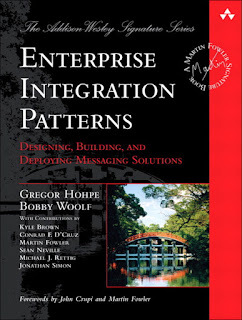 Once again the Enterprise Spring by Pivotal is the best resource to prepare for this exam, but if you are preparing on your own then you can read Enterprise Integration patterns because the training is actually based upon this book. Now that it's possible to take the Spring certification without training, many Java developer will rely on the self-study to pass Spring certification, hence the choice of good book and certification guide along with good exam simulator will become very important to clear Spring certification. Remember, Spring requires you to score 78% to pass the exam i.e. you need to answer 38 questions correctly from 50 questions to become a Spring professional developer. That's all about Spring certifications and whether or not you can take Spring certification without training. Since10th may 2017, its possible to take Spring certification without training. This is an excellent opportunity to get recognition of your knowledge and skill as well as a good chance for junior developers to boost their Job application by becoming a certified Spring developer. Spring is one of the best Java frameworks and many companies use Spring to Developer Core Java and Web application. There is a huge demand for Spring and Java developer and becoming Java and Spring certification will boost your chances by not only separating you're from millions of non-certified Java and Spring developer but also improving your knowledge by going through this Spring certification exam. Make it a goal in 2017 to pass the Spring certification. Could you please let me know how to purchased the Spring Core Exam and from where we can give that exam ? Hello Anonymous, you can purchase the exam voucher from Pivotal website online, you can find the link in this article. Once you buy the voucher, you can find the center where you want to give exam, you can even give exam online. Can we know at exam how many right answer we have to select like a Oracle exam ? You need to score around 76% to pass the Spring certification exam. Since there are total 50 questions, you need to get 38 out of 50 correct to pass.